Addison Zeisler, president of the GHS Class of 2015, addresses her peers on Friday evening. 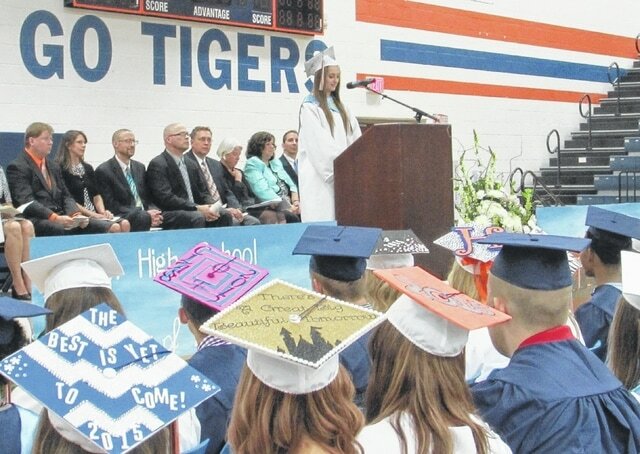 She was also named class valedictorian during the ceremony. There were 126 seniors who received diplomas, including two tracksters competing at a state meet that night.